In the search for some sunshine – long absent in Yorkshire this year [though we haven’t had much rain so business as usual then] – we set off for a long-planned family gathering in Soller, Mallorca. Now, we’ve been to Mallorca before, about 20 years ago, flying out with Avro Airlines. No, don’t even think about it. Cheap airlines are one thing, but at least when you arrive they have a plane, whereas Avro…. Being promised at least a twelve hour wait whilst they found one to borrow […or built one?] we headed out of Manchester Airport for a visit to the curry mile. Again, don’t think about it – when we got back to the airport, they’d found [built] a plane, loaded up and the flight was closed. After a bit of persuasion we did get on and the rest of the holiday was a bit of a beautiful anticlimax. This time it was Jet2 – far from cheap but reasonably pleasant. Mallorca’s reputation hasn’t alway been great [Magaluf anyone?] but most of it is really, really beautiful. The Mallorcans are clearly very proud and look after the place – very clean and tidy, whitewashed doors steps, bougainvillea everywhere. 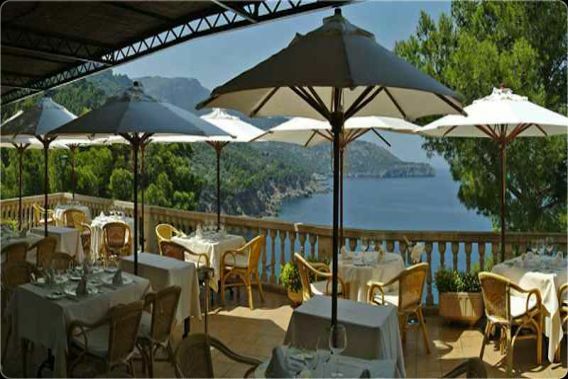 We opted for a villa rental in Soller, a town half-way along the mountainous spine of the island. Stunning. 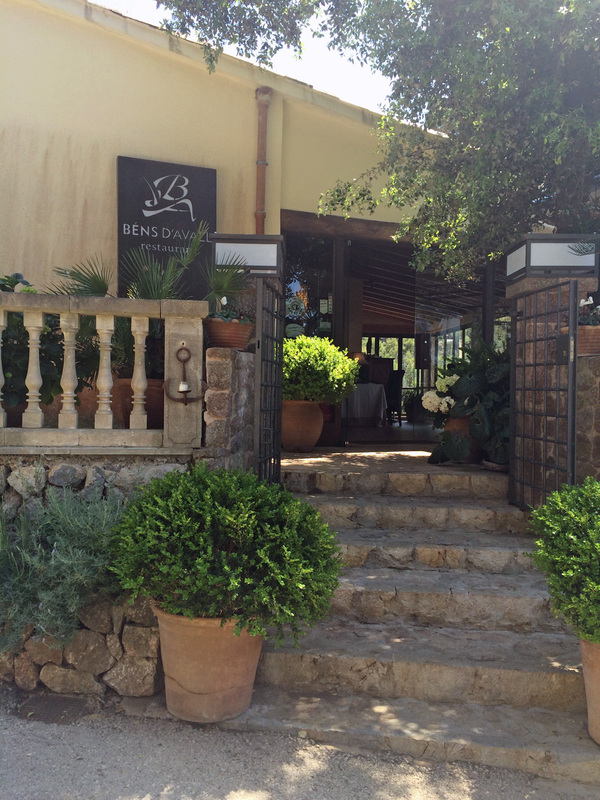 We were introduced to a couple of great restaurants in the town, but we found Bens d’Avall on a trip to Deià. Going off piste down a little track, searching for lunch and beach, we came upon this little gem. You could just have a drink and admire the view, or enjoy the splendid lunch. 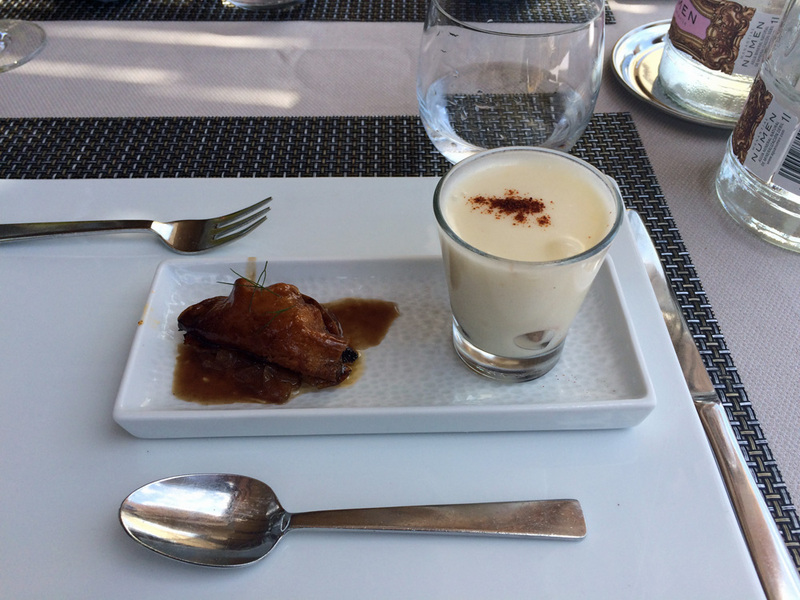 It was a prix-fixe tasting menu, but they readily adapted it to the culinary choices and time limits of feeding three children – one 3, and the others under 2. Plenty of wine to choose from, but the non-drivers enjoyed a glass of local sauvignon blanc – Castell Miquel – called Stairway to Heaven. No, we didn’t bring any back but it just hit the spot alongside the view – you know our views on wine coming back to Yorkshire. Very friendly, child-friendly too – not just tolerant – and good value. Really.